Cooler temperatures inspire a mouth-watering menu that will keep your guests toasty on the inside and fuel them up to dance into the wee hours. From your cocktail hour to dessert, consider these fresh- from-the-hearth menu ideas. During the winter months, hearty classics are in demand, and caterers fulfill that desire with whimsical takes on childhood favourites. For your cocktail hour, have waiters pass trays of delectable bites, such as spoonfuls of breadcrumb-coated mac and cheese; demi forks of spaghetti and meatballs (penne pasta with a mini meatball and a drizzle of bolognese sauce); or panini lollipops (panini on a stick). Another top- ranking winter hors d’oeuvre: shot glasses of hot soup, such as tomato bisque garnished with grilled triangular cheese bites. 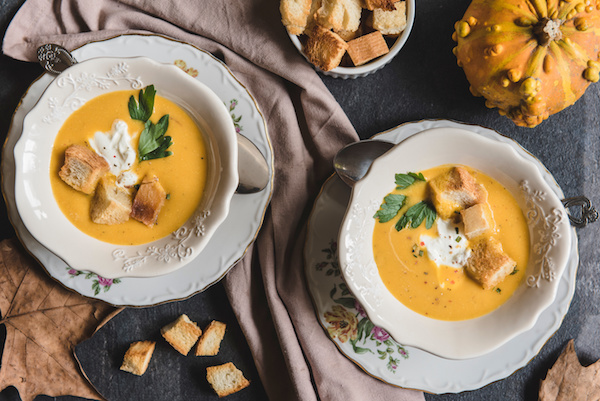 Toasty soup is a no-brainer for the first course of a wintry wedding meal. Some of today’s favourites: butternut squash with pumpernickel croutons, potato-leek with amaretto crème fraiche, or rich cheddar potato. And a winter salad calls for extra seasonal additions like cranberries, pears, and walnuts. Can’t decide whether to do soup or salad? Go with one of the season’s newest menu trends: soup-and-salad combo plates. Have your caterer place a small bowl of soup on one end of a rectangular plate and a cluster of salad on the other. Or place the soup in the centre of a round plate and surround it with salad. Especially appropriate for wintertime, top wedding planners are transforming the wedding meal into something more inventive and gourmet; à la what you’d find in a four- star eatery. Come entrée time, classic filet mignon continues to be a favourite, but in place of roasted spuds on the side, consider a risotto cake, a purple potato pancake, or wasabi whipped potatoes. Or opt out of the traditional steak and potatoes idea and serve a tasting menu – or “degustation” – of six or seven small courses. For example, you might start with a pumpkin soup served with an Asiago-truffle mac and cheese muffin; followed by a fish course, such as lemon- baked salmon; and then a meat course, such as horseradish-crusted lamb chops. Vegetarian and low-meat diets have begun to take centre stage, and many brides and grooms are offering a veggie entrée choice for guests. 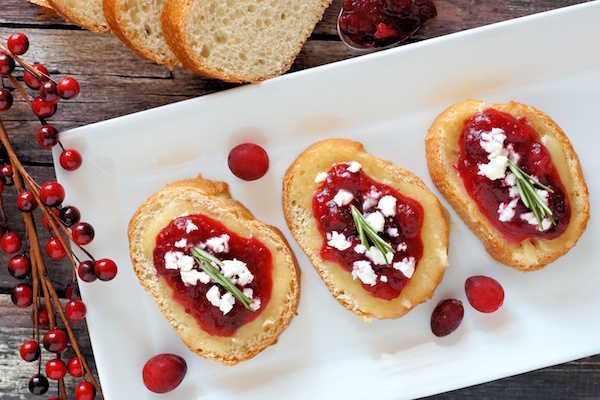 Whereas vegetarian options may once have been an unexciting afterthought (like a plate of mushy roasted eggplant, mushrooms, and peppers), caterers are now putting equal effort into making these dishes taste amazing. Two winter-appropriate, meat-free ideas: a jumbo Portobello stuffed with cornbread, wild mushrooms and truffle essence, or a trio of peppers filled with three different types of risotto. Pasta dishes are back in a big way too, either as a second course or a vegetarian entrée. Instead of plain pasta, go for whole wheat, spelt, or spinach. Additional sources: Andrea Correale, president of New York’s Elegant Affairs and Chicago- based event planner, Debi Lilly, of A Perfect Event. 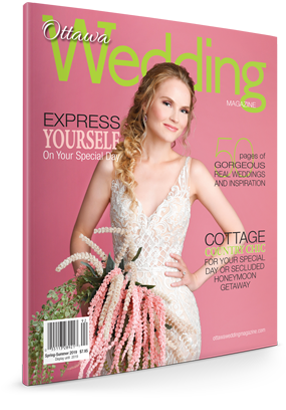 *This story originally appeared in fall/winter 2015 edition of Ottawa Wedding Magazine.